If you're ready to take a timeout from your life and spend a year living in the Arctic on a simulated Mars mission, the Mars Society wants to hear from you. 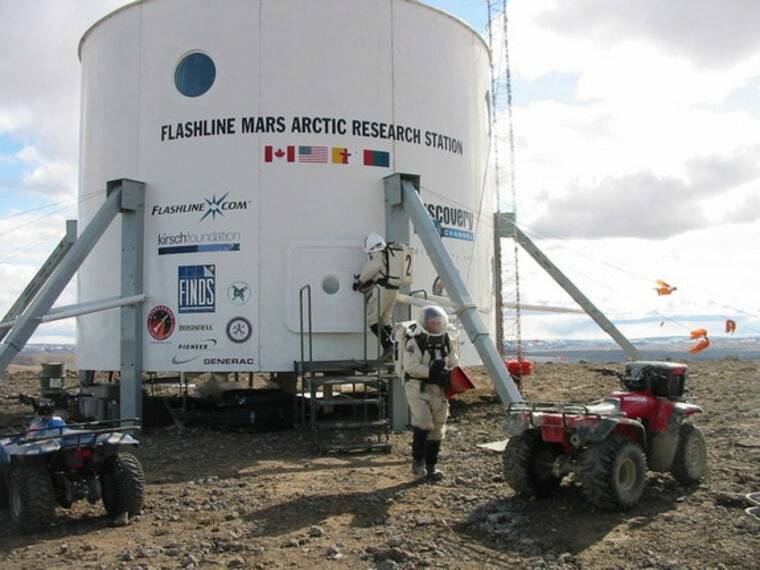 The non-profit group, which advocates for manned exploration of the Red Planet, has released its requirements for the six volunteers who will be expected to spend 12 months at the society's Flashline Mars Arctic Research Station on Canada's Devon Island, which is about 900 miles (1,450 kilometers) from the North Pole, beginning in July 2014. Just like astronauts, crew members will spend most of their time doing science, studying things such as carbon release from the permafrost and human performance in extreme conditions. If they want to go outside their base, they'll have to wear a spacesuit. If something breaks, they're the ones who are going to have to fix it. "Dedication to the cause of human Mars exploration is an absolute must, as conditions are likely to be very difficult and the job will be very trying," Mars Society officials said in a description of the simulated mission, which is called Mars Arctic 365. Human Mars exploration generated a lot of headlines last year when the Netherlands-based non-profit Mars One proposed a one-way trip to the Red Planet that would land in 2023. Mars One's global call for astronaut applicants received more than 200,000 responses. NASA, for its part, aims to get humans to the vicinity of Mars by the mid-2030s. The space agency is also sending an astronaut on a one-year mission to the International Space Station in 2015 to help prepare for longer space missions. Applicants for the Mars Society's Arctic mission must be between 22 and 60 years old with a four-year college degree or equivalent experience. While the group does not stipulate what sort of experience is needed, they note that skills including science, engineering, first aid and mechanical aptitude would all enhance an application. The selected volunteers will "act under crew discipline and strict mission protocols during the Arctic simulation," and are expected to undergo training beforehand, including at the Mars Society's Mars Desert Research Station in Utah. Applications are due Nov. 30. More information is available from the Mars Society here.